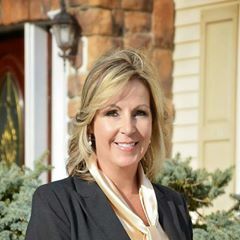 A native of upstate New York's Capital Region, Cheryl brings her background as a nurse, and her enjoyment in helping people to her real estate career..Formerly a resident of Rensselaer County, Cheryl and family reside in Saratoga County. "I have lived, worked and played here in the greater Capital Region for my entire life, so I am very familiar with the many residential areas and the array of resources the area offers. It is my pleasure to assist my clients in location the neighborhood they desire and finding a house they will be happy to call home, or in helping them to sell their current home here in the region. I pay very close attention to my clients' needs and concerns, and I focus on maintaining a high level of trust and dependability in order to make the process of buying or selling a home a positive experience for them.